The Netherlands smoked Spain today in World Cup action 5-1. Spain hadn't conceded 5 goals in a match since June 1963. That got a lot of people talking about Netherlands, and many referred to the country as Holland. Some think the two terms are interchangeable. They're not. Calling Netherlands the name "Holland" is akin to calling Canada the name "Ontario". For the unaware, two of Netherlands' 12 provinces are North Holland and South Holland, and together this region is called Holland. The following Netherlands provinces are not in Holland, however. The fine people who live in these provinces feel awfully slighted and excluded when you refer to Netherlands as Holland. Now you know why you should refer to the country as Netherlands and not Holland. I wondered how a country could have two distinct names but never bothered to investigate. My ex father in law, an officer, being driven in a jeep, hit a land mine. WW2. Lost 95% of his hearing. Was in a (U.S. military) hospital for two years. Went back a couple of times for remembrance/gratitude for liberation ceremonies. The guy succeeded in life in spite of that hearing loss. I chalk it up to his military bearing. Career military officer family. Also: I've met a couple of Dutch people (that's still okay right?) with amazing World War two stories. One was a kid delivering underground/resistance publications by bicycle. His stories of how he/they outfoxed the Germans was quite something. Yes, the people of Netherlands are Dutch, as is their language. A surprising number of people think Holland is an alternative name for the country. I even caught the soccer commentator saying so during the match today. Millions of people in the Netherlands do not live in Holland. I worked there for two weeks in 2004 while the Euro Cup was in progress. Absolutely insane and a sea of orange everywhere. Kindest people you could ever ask to meet. First rate, and I rarely say that about people. Why are you so worked-up about this? Wow. As I said on Twitter, even the Dutch (my extended family, and other ones that I've met) refer to their country as "Holland" in the short form. It rolls off the tongue easier than Netherlands or Nederland. Just listen to the chanting at the World Cup. Those aren't non-Dutch chanting "HOLLAND!". Hell, they've spent centuries being called "Dutch" by the English, a mangled, anglicized version of the word "Deutsch" (German for "German") without working up a fuss. Yes, I admit it's confusing to the rest of the world, and there's probably some people there that are upset about it, but nationally they've just sort of accepted it as a nickname. Next week, let's get angry about the USA being called "America". It's nothing like calling USA "America". It's exactly like calling USA "Dakota". What about calling Americans "Yankees"? The world does it, even thought it refers specifically to New Englanders. Anyway, go to the Wikipedia page "Netherlands". Scroll down the left hand side, which links to the article in other languages. See how many countries refer to the entire country as some form of "Holland". Even Denmark, which is practically next door, refers to it as Holland. Japan calls it "Olanda". Lots of people call Netherlands "Holland". That's why I wrote this entry. Not sure why Mike's getting pushback. He's exactly right here. Google it and see for yourself. Holland accounts for 2/12 provinces in the Netherlands. It's a fact. I remember you discussing this fact once before (not sure when) and it was news to me back then. Funny thing is although that is true even Dutch people I know - some from that province and others from elsewhere called their home country Holland. I dunno if they do that when they speak to foreigners, thinking that most outsiders will know it that way. What you guys in North America called soccer is football. Soccer is a less popular alternative name for it. What you in North American call football is not football. It's not played with a ball. Or kicked much with a foot either! Yes, we call your football "soccer", but the terms are interchangeable. Our soccer is your football, and our team is even called Toronto FC. FC is "Football Club". 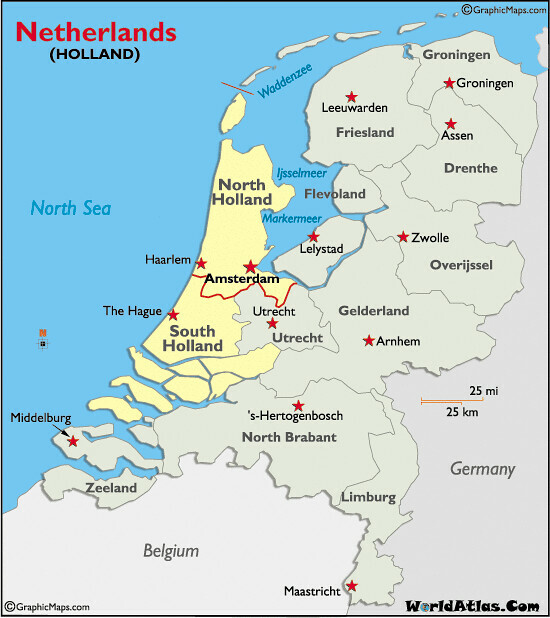 Holland is rather fun to say, and many do call the Netherlands that name, but it's truly only 2 of 12 provinces. It's an incorrect usage of the term. So is calling that sport in NA "football". But I'm going to go with the Dutch. Plenty of Dutch fans with Holland in the stands. If they are ok with it, it should be fine for us. Though it is weird that that name came to represent the whole nation. The biggest cities, like Amsterdam and the Hague, are in Holland, so they don't care. It's the other 10 provinces who care. Remember, many fans of the Washington football team are A-OK with their nickname, too. Only 13 comments? C'mon, we can do better... Leave a comment above and let's keep this conversation going!